We understand that it can be a bit daunting to figure out what type of fence will best work for you. That is why we are here to help you every step of the way! 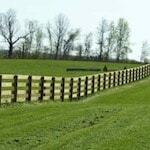 We are a fence company with decades of experience. Take a look at our short Promotional Video to understand more about how we became a leader in fence installations throughout the Eastern USA. By taking a few minutes to read through our website you can learn from our years of experience and avoid installing a farm fence that does not make you completely happy. 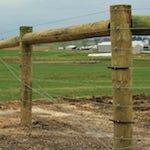 We also suggest you read through our how to choose the right horse fence guide. We have kept it as concise as possible while giving you all the information you need to make a great decision. 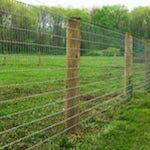 We are a fence company that specializes in livestock fencing and field gates. 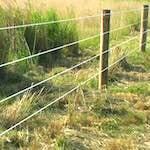 Whatever your fencing need may be, give us a call, chances are we will have a fence solution for you. After consulting with you on which type of fence will work best for your situation, we will begin the fence installation process. 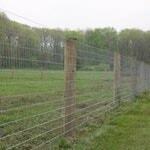 We have been performing fence installations for properties large and small since 1993. Our fence installers have encountered many obstacles during that time. 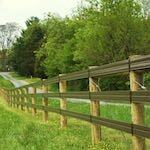 These experiences have made us the most seasoned fence installers in the Eastern USA. Learn more about our Fence Installation Services. Using ProFence for your fence installation services means getting your fence installed correctly, on time, and within budget. Contact us today for a free Fence Installation Consultation!